As much as we care for trees, we realize that there are situations that necessitate tree removal. The most obvious situation is when they are dead. Dead trees are unsightly and pose a threat to surrounding property and power lines. Some trees are dangerously close to buildings and can cause problems during severe storms. Fierce wind speeds can topple a tree onto your roof or through a window. Some clients elect to remove trees from their property when it’s impeding the growth of an agricultural project. Whether your desire to remove a tree from your property stems from necessity or aesthetics, Savannah Tree Service has the manpower and equipment to get the job done expeditiously. Savannah Tree Removal is not your average tree removal company. We have invested heavily in intelligent forestry equipment. This technology makes it possible for us to remove trees from your property with a remote control. 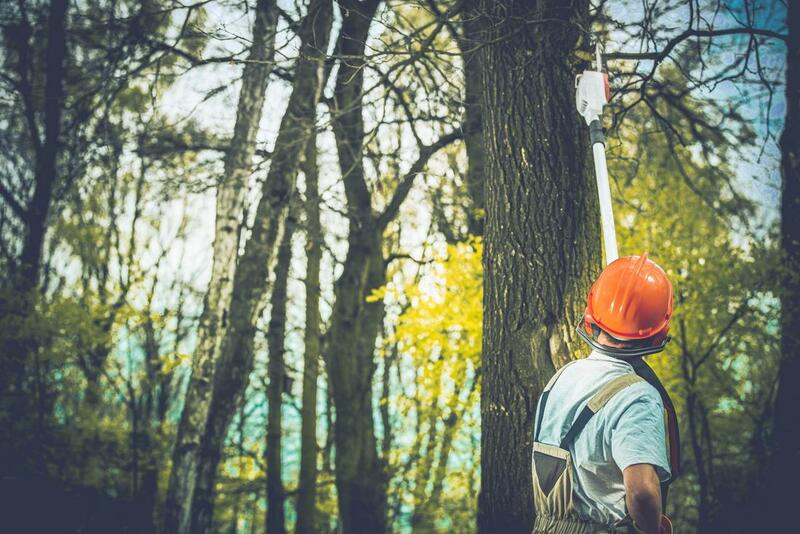 Our arborists are not in danger of any slipped disks or muscle strain because minimal effort is required when you use state of the art equipment to your advantage. If the tree is healthy but would prefer it in another location, we can help. We have equipment that can remove, the tree, its root system and surrounding dirt in a flash. This technology makes it a cinch to re-plant it in another location. If the tree you’d like removed is dangerously close to your home, garage, power line or neighbor’s home, not to worry because we have the technology to remove it without incident. Our highly skilled tree removers will attach a crane to the top of the tree so that when it is cut, the crane immediately lifts it up and away from your property. To remove the stump, it will be ideal to use a remote controlled stump grinder. If the stump is located near your HVAC system or any other valuable object or plants, we will construct a barricade to protect it from flying tree chunks. An Arborist is an individual that cares for trees and shrubs. At Savannah Tree Service, we are the living embodiment of ‘tree huggers’. We have a passion for our environment and health and future of trees and our eco-system. But we realize that there are times when a tree has to come down. One primary reason is that the tree may be dead. Dead trees pose a risk to other living plants. Depending on the size of the tree, during a severe storm, a dead tree can seriously damage your roof, break a window or fall on a parked vehicle. If you have a dead tree on your property, we recommend that you call us to remove it immediately. The size and location of your tree is a key determining factor. You may think that you have the tools and skill set to remove it yourself. However, if the tree is larger than ten inches in diameter, we do not recommend that you attempt to remove it. Call Savannah Tree Company for a swift and affordable resolution. Another rule of thumb: never get on a ladder with a chain saw. Heavy soil is another concern in tree removal. Removing a tree after a heavy rain can be arduous for a lay person. Fortunately, our company uses a ‘grip n rip’ machine that has the horse power to remove the tree, its entire root system and surrounding soil.